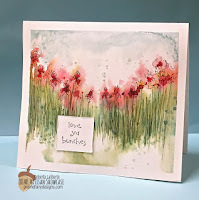 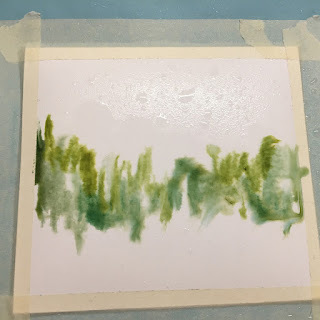 Hello everyone, I have created a watercolor card for you today, and you can follow along with me! Take a 4 inch x 8 inch sheet of watercolor paper or bristol paper and fold in half. 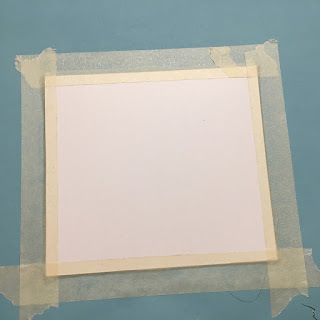 Tape it to a surface if you would like to have a white border like I do. Spray the entire surface to wet it. 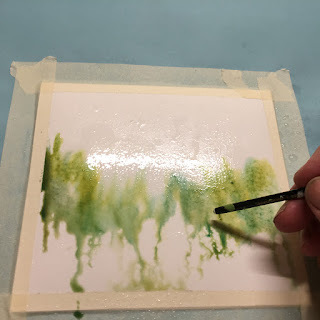 Using a brush drop or stroke a couple different shades of green paint across the horizon. Use the bottom end of your brush to stroke through the paper in the paint areas to add darker strokes which will imply long grass and greenery. 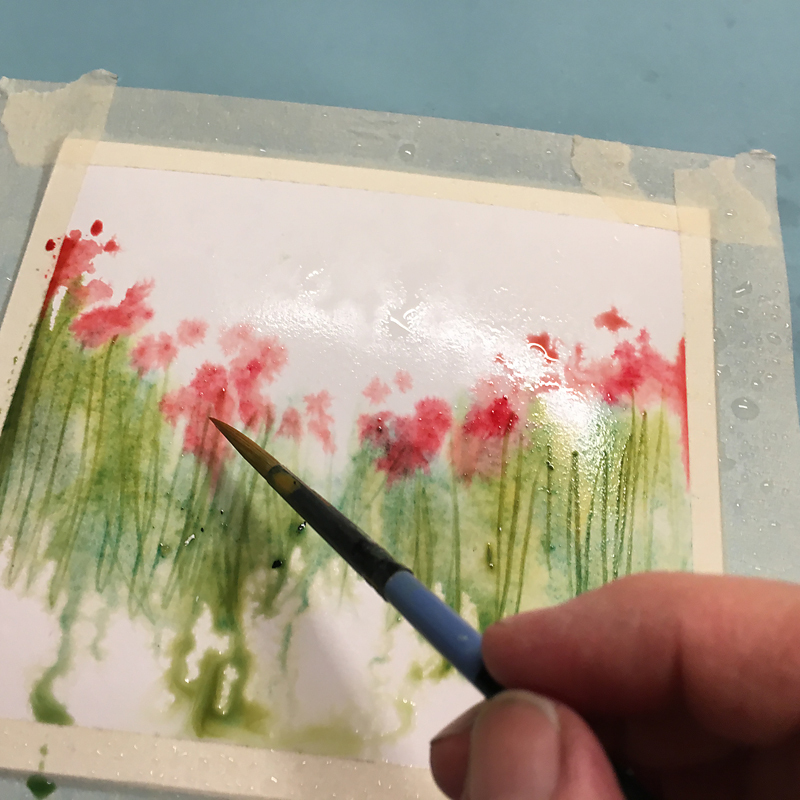 While the paper is still wet, (if it is drying just respray it lightly) drop in your flower colors. 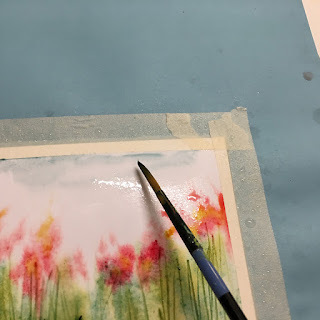 I am dropping in a second color which I know will mix with the red to make orange. 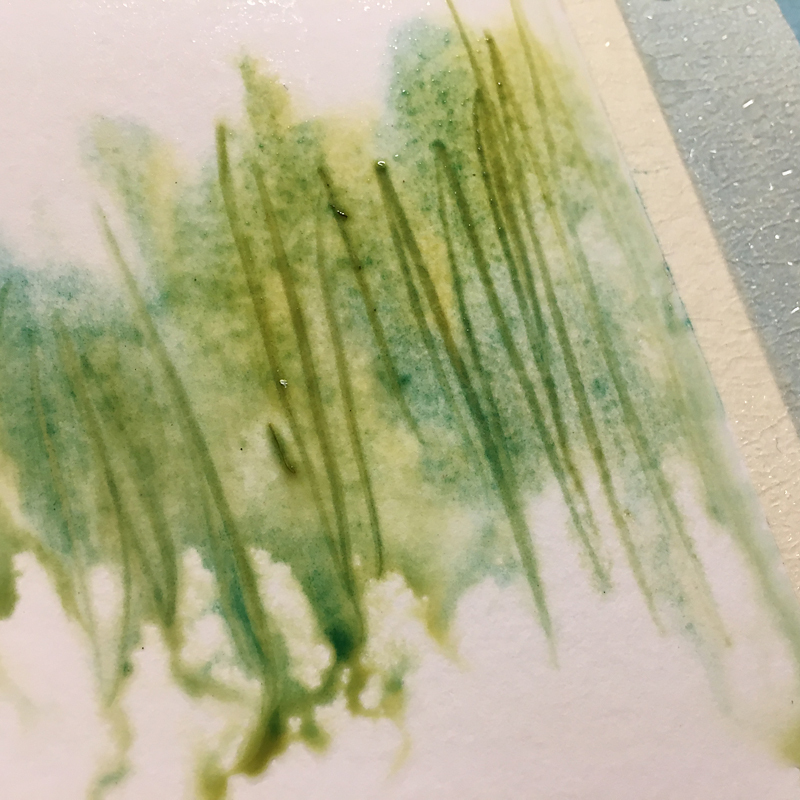 I will end up with a pretty mix of colors by mixing these two colors. If the red mixes with the green it will become a bit muddy but dont worry, those are shadows! Lightly drop some blue into the sky area. 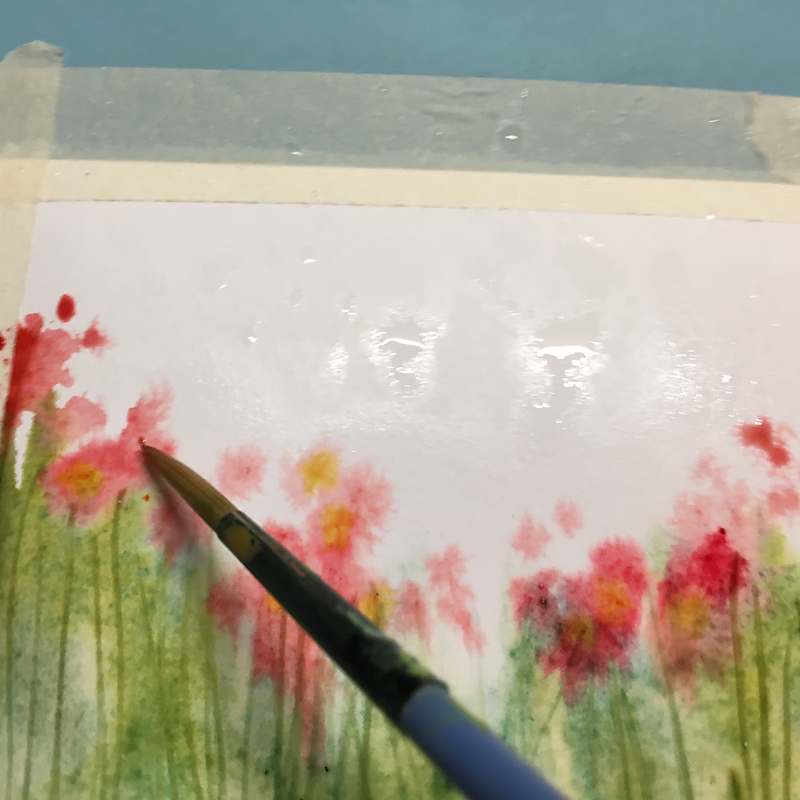 You can lift your paper to make it ooze down towards the flowers to get a pretty effect. 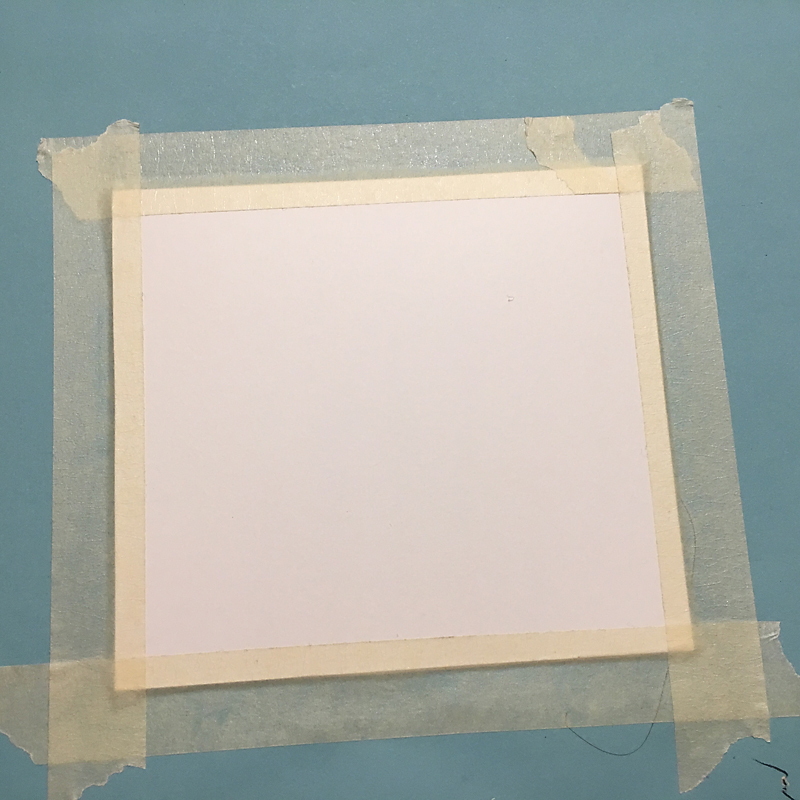 You can leave it at this stage or you can add some sketchy lines like I did with a fine point black marker or for a softer look you can use a pencil.